“I wasn’t sleeping but maybe 2-4 hours a night, so I was completely exhausted when it was time to get up and start the day. Even just thinking about tackling the day, the simple things of showering and getting dressed to go to work were just monumental tasks. Dr. M: Hi Jennifer, it’s Dr Rodger Murphree. How are you? Jennifer: Hi Dr Murphree, I’m great. How are you? Dr. M: Good, thank you so much for joining me. I really appreciate you taking the time to join me on this call, I really do. Dr. M: Tell me a little bit about you, prior to us working together. Tell me about your story. Where were you a few years ago prior to us working together? What were some of the challenges that you had with fibromyalgia? Jennifer: I had a lot of fatigue and exhaustion. I’m a migraine headache sufferer and I’ve had the migraine since I was in my late 20s … more than half of my adult life. A lot of soreness and stiffness, trouble sleeping, trouble getting out of bed, trying to just live a normal life. Dr. M: How long did you have fibromyalgia? Jennifer: Over 10 years that I’ve been actively trying to pursue what’s been going on, probably before that though. Dr. M: You had all over pain, is that right? Can you tell me a bit about your pain? Jennifer: I did have all over pain. A lot of it was in my upper body though. A lot of neck and shoulder, arm and hand pain for the most part. Before I found you, it was affecting my lower body as well. Dr. M: How did that pain affect your life overall? Did it limit you in what you were able to do physically or mentally? Was it an interference for you being able to do things that you wanted to do? Jennifer: It was a huge interference. I really was doing nothing. I was going to work part-time 3 mornings a week and I was trying to get through life. I would say I was surviving, not living. Dr. M: Your energy was really, really low. Tell me about your energy. You really were just getting through the day, weren’t you? Jennifer: I really was. I wasn’t sleeping but maybe 2-4 hours a night, so I was completely exhausted when it was time to get up and start the day. Even just thinking about tackling the day, the simple things of showering and getting dressed to go to work were just monumental tasks . Dr. M: Now obviously things have changed quite a bit. You’ve done really well. Tell me about your sleep, how’s your sleep now? Jennifer: My sleep is much better. I’m getting between 6-7 hours a night. For the most part, it’s getting to where it’s uninterrupted. I still have occasional nights, but for the most part I feel rested when I get up in the morning. My energy level is just a 100% turnaround. I’m doing things that I haven’t done in years. In fact I have to keep telling myself, don’t get too far ahead of yourself. Dr. M: We started working together in June and like with most of my patients that I work with, it’s all about getting healthy. Sometimes that’s going to be a slow start. 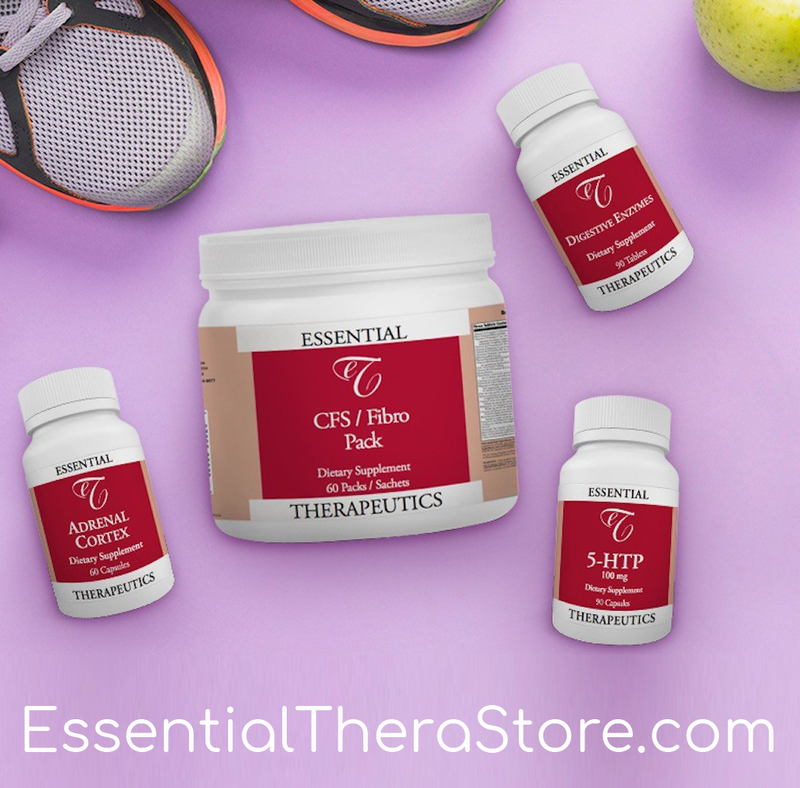 We really had to work hard on your sleep because you were one of the people that couldn’t take 5-HTP; 5-HTP caused you to even have some headaches. Through trial and error, we were able to get you sleeping. Prior to that, tell me about your sleep … You were trying to sleep and what would happen, prior to us working together and getting that straightened out? Jennifer: Most nights when I went to bed, I could go to sleep but I would sleep maybe 2 hours and then I couldn’t go back to sleep. Sometimes I might fall back to sleep right when it was time to get up. Other nights, I might be up looking at the clock all night long until it’s time to get up. Dr. M: As you know so well, in my book I talk about the first thing you’ve got to fix if you’re going to have an opportunity to feel good and stay that way, is you’ve got to get your sleep straightened out. As I said earlier, we struggled a little initially but within about a month or 6 weeks looking back through your notes, you started sleeping. I remember you told me, you’re starting to feel like yourself again. When you told me that, I knew we were on the right track. It was just a matter of time, putting all the pieces together and getting you to keep doing some other things that needed to be done, but I knew once you said that that things were going to get a lot easier … and they did get a lot easier. Jennifer: Yes, they did. Much easier. Dr. M: Your energy is doing great now … knock on wood. You’ve done pretty good as far as your migraines, knock on wood. Jennifer: I have done so well with the migraines. Once I started the elimination diet, we started me on that like in the middle of August … really I have an occasional headache now and again, but for the most part I have been headache free. That has been wonderful. Dr. M: Yeah, I hate to even talk about it because I don’t want to jinx you … I’ve been a migraine patient myself. I would have walked through broken glass and a river of fire, whatever to get rid of migraines. They’re terrible, and you’ve had those forever for years and years, right? Jennifer: Yes. It was to the point that it took up most of my life, just dealing with the migraines for the longest time. Dr. M: I’m so glad that you’re doing better. The elimination diet, you did so well on that and that allowed you to really reduce your pain, your energy went up. As a by-product of that diet, you lost some weight. How much weight did you lose on that diet? Jennifer: I lost 35 pounds. 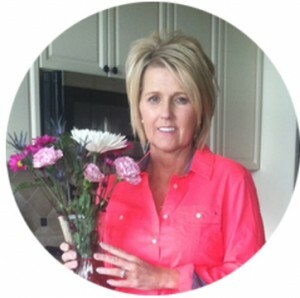 Jennifer: Just feeling good and having my energy level back, being able to live my life again has been fabulous. Dr. M: Absolutely. What’s it been like being in Indiana working with a doctor in Birmingham, Alabama? What’s that experience been like? Dr. M: Yeah, I understand. Dr. M: I want to commend you because so many people are so passive, that this information is out there and they’ll turn their nose up at it. They won’t do what it takes to find out, and they do have an option. Some people don’t have an option to get better, that’s just the way it is but unfortunately, a lot of people have already given up. Many people aren’t willing to do what they need to do to make the changes that they need to, to get healthy. You’ve been incredibly proactive, and the first step in being proactive was you got the book. A lot of people won’t even take the time to read the book and it’s written in the book. You’ve read it in 2 days … that’s a 560 page book, it’s not an easy book to read. You did that and of course, you did everything I asked you to do when things weren’t working. Everybody is different. I wish there was one size fits all protocol; there’s not. You were great with the whole thing and you worked really hard. Do you think the diet was worth it? Jennifer: Totally worth it, because within 2 weeks of being on the diet I noticed the pain was subsiding. I had been on the elimination diets before. It wasn’t quite as strict as this one is, but they were pretty strict. I did not achieve the success that I did with this … it was fabulous. Dr. M: It is work, you’ve got to work to get healthy and you’re still working. We’ve still got some work to do but it can be done. Obviously it can be done. In closing, what would you like to share with those that may hear this replay … what you’ve learned? Any closing thoughts you might have. Jennifer: Take the chance, really you can’t lose. You’re working for, I don’t even know how many hundreds of thousands of people you work with, but they need to take the chance and they will see success. Your program is working. You know what you’re talking about. Dr. M: Wonderful. Thank you so much for joining me and I look forward to talking to you soon. I look forward to that conversation … again thank you so much for joining me tonight. Jennifer: Thank you Dr Murphree. Dr. M: You’re so welcome. I want to thank Jennifer for joining me tonight and sharing her story. As you heard, she was virtually a lifelong migraine sufferer and as you heard just a moment ago, migraines are the worst. For me, I’ve had it for a couple of years and I found out what the triggers were, which for me were food allergies and migraine headaches … which is what most peoples’ triggers are. By finding those things, for Jennifer in her case the food allergies made a huge difference and she was able to get rid of her migraines; something that she’d had forever. 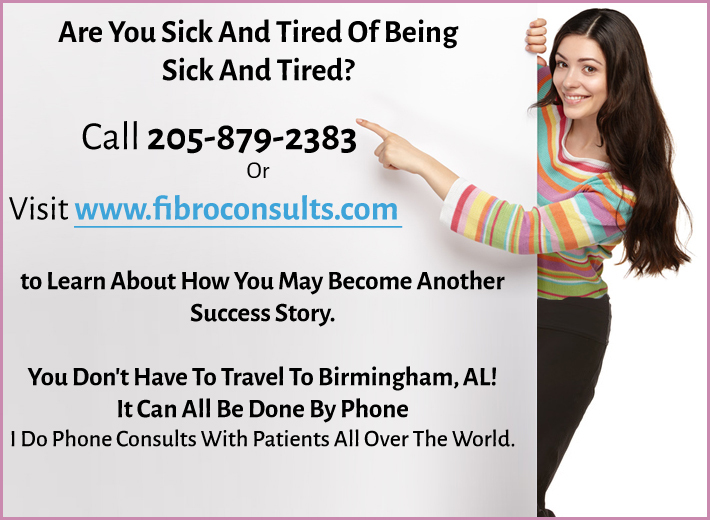 I think for most people it is a big leap of faith to contact a doctor that’s number 1, actually says that they’re having success with fibromyalgia. There are so many people out there that say that there’s no hope for fibromyalgia, and I disagree with that obviously. If I didn’t, I wouldn’t be treating those with fibromyalgia. I’d be doing something else where I could have some success … but you can. What happens is because you get told that, you believe it and that’s really where we’re at right now. In the conventional medical world, they tell you that you just have to live with it. We’ll put you on some medications and we’ll see if you can manage it, but you’re just going to have to live with it … that’s not the case. I certainly can’t help everybody and part of the phone consult that I do with patients upfront, is for me to see if I think I can help them. If I can, then I share that with them and I give them different options to let them know what they can expect and what they should do. With Jennifer’s case one of the things she did was she had to work to get healthy, and that’s really what it’s all about. It’s not just taking a handful of pills or a handful of supplements and she is taking the right supplements, I’ve got her on the right protocols. Based on the testing that we did, I was able to see where she was broken down and that took all the guess work out of what we needed to do. 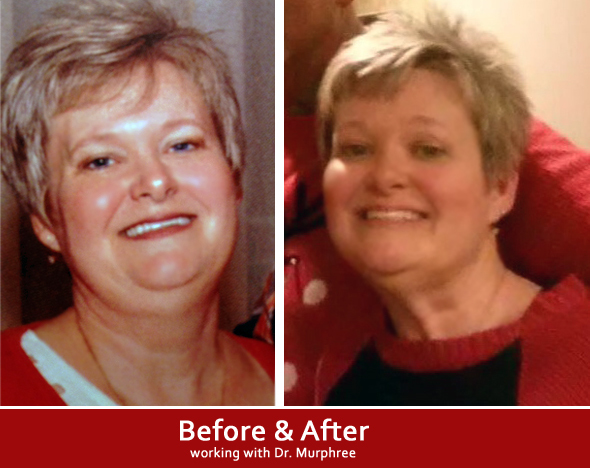 She also did the diet, and by doing the diet not only did she eliminate the foods that were causing all the inflammation and triggering migraines and allergic reactions, but also allowed her to lose quite a bit of weight as you heard. By losing that weight which is just a by-product, she has been able to reduce her pain dramatically. She’s also seen her energy go up dramatically. The by-product of losing the weight is you lose those inflammatory chemicals that you store in those extra fat cells that you have. You also will reset your metabolism, so your metabolism goes up as you’re losing that weight. She said 30 pounds or so … maybe more than that, maybe 40 pounds but that was a real success for her because she worked hard to get there. Now she is getting the benefits of that, and that will continue for months and years to come because she’s now gotten healthy. The only way to beat fibromyalgia- and you can beat fibromyalgia, is you’ve got to get healthy and then you’ve got to stay that way. You have to take care of yourself and you have to do the things that allow you to stay healthy. Again, I want to thank Jennifer from Indiana for joining me tonight. 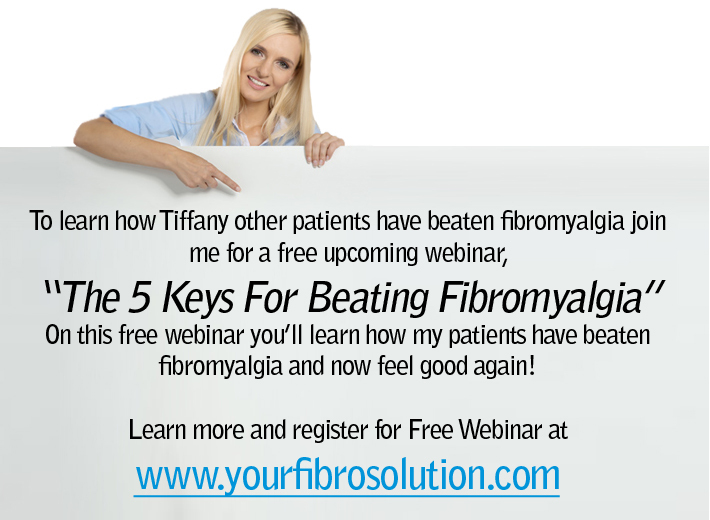 I look forward to your questions each and every week on my Treating and Beating Fibromyalgia weekly conference call. 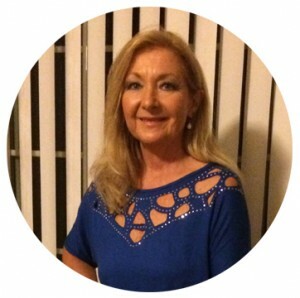 You can learn more about the conference, know more about the consults, there are free articles, videos, past audios, past teleconferences, webinars, all sorts of free resources and other success stories at my site, YourFibroDoctor.com. Thanks for joining me. Hello I’ve been fighting this disease for 15 yrs I was just told it was FM . To be honest I’ve thought it was in there head whom ever said they had this , but I know better know .ive read a million articles on this , I’m searching for the heathy way I don’t won’t to be on a million pills and opiate dependent. I hope there really is a heathy way out I’m not living I’m existing . Thank you for your time. The only way to beat fibromyalgia, you you can, is to get healthy. You can learn more on my site http://www.yourfibrodoctor.com. There are free resources, webinars, videos, etc. You can order the book on Amazon or you can set up a phone consult 205-879-2383. I’d love to help. 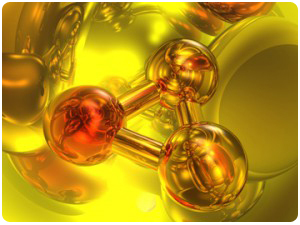 Stress is the catalyst for poor health including fibromyalgia. Changing diet probably won’t help much without the essential vitamin protocols as discussed in my book and used with my patients.